Ali Sutherland was on loan at Rothes. Sutherland joined the Speysiders on a temporary deal in September and featured regularly for Steven MacDonald’s men, netting four times in 13 appearances including a goal in his final appearance in a 6-1 victory over Nairn County last month. Having returned to his parent club for the remainder of the season, Sutherland has set his sights on a place in Gavin Price’s side. Sutherland said: “It’s up to the manager really. There are a few attacking options who have come in recently, but I have been keeping myself fit and got some game time under my belt. “I wasn’t enjoying just sitting on the bench every week. Just as I seemed to be getting regular games last season I got an ankle injury. It was horrendous timing but it’s just typical of football, when things are going your way. “Now I’ve got a few games under my belt I can keep the momentum going. I think the manager is playing more with wingers now, so hopefully that will benefit me and I can try and break into the team. Former Caley Thistle player Sutherland reflects fondly on his time at Mackessack Park, with the 22-year-old adding: “I really enjoyed my time at Rothes, getting some game time and playing with some old team-mates and friends from Inverness. “I thought it was really productive. Rothes like to play attacking football and keep the ball on the ground, although it’s hard sometimes with the pitches and conditions in the Highland League. 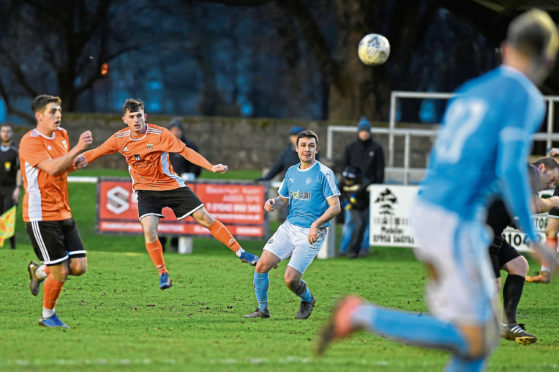 Sutherland is in contention to feature when Elgin make the trip to bottom placed Albion Rovers, with City hoping to narrow the eight-point gap that separates them from the play-off positions. He added: “There are still plenty games to go and we are not far off fourth place, with an extra game on Annan. “If we just keep playing well and taking our chances, I’m sure we will be there or thereabouts.